Posted on September 18, 2016 September 18, 2016 by Debito Arudou Ph.D.
Hi Blog. Phil Brasor at the Japan Times offers us an excellent article on the recent politician Murata Renho flap, as people make an issue of her apparent dual nationality (Japan and Taiwan) and question her loyalties simply because of her apparent “mixed blood” (as if the bloodlines were ever that distinct in the first place in Asia). No matter. She still got elected head of the main opposition Democratic Party. May she put some zing into Japan’s lackluster left-wing. All of these issues, particularly the “pure blood” conceit, have been brought up passim in book “Embedded Racism: Visible Minorities and Racial Discrimination in Japan“. 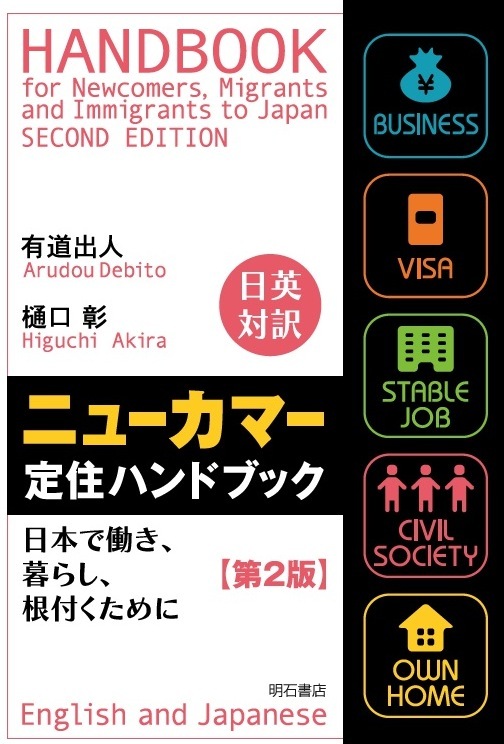 Renho herself features prominently in the book (Chapter Seven), given that Japan’s racist politicians have questioned her loyalty many times before — for example when she was a Cabinet member in the previous DPJ government — simply because she’s to them a mudblood. And they can get away with it because the “pure blood” narrative is so strong. And its so Ironic because they always want to talk about the racism in america and other countries but when ever you bring up these racist facts about japan they become silent and dont want to discuss it, so thats part of the problem here. I’m curious as to what a lot of commentators on social media mean when they accuse Renho of being “Pro-Chinese”. They never come up with any concrete examples, so I assume it it either her heritage, a softer stance on China, or a mixture of both. Neither of which add up to being “anti-Japanese”. We need a few more Nobel Prize winners who gave up Japanese nationality to get some balance back into the debate. Jeff Kingston had his say in recent interview with ABC News(Australia) Japan in Focus. It’s kind of dirty job for right-wing media to inflame a “minor legal” issue (even their news writers don’t even bother cover because it’s of their concern) to national scandal. These third-rate Japanese language media never fail to find their scapegoat to perpetuate an outdated nativism. Does she have two passports? I assume she just has the Japanese one. Thing is, her election was played up on Taiwanese TV in a positive light and I guess it rubs the right-wing the wrong way. Koike seems popular and if Renho can make the DPJ more popular, it doesn’t look good for the LDP. Odd thing is that I have read that Inada may be the one Abe wants to succeed him – a woman but a pure Yamato Japanese. Just racism, pure and simple. And this co,pletely destroys the Jimperialist myth of the “Co Prosperity Sphere” being benign; Taiwan is oft held as an example of a “nice” Japanese colony, but here they are still seen as Chinese gaijin. Thanks for posting this Dr.! I agree with you 100%, but I honestly believe that most Japanese can’t see the hypocrisy of ridiculing racism in the US whilst denying the existence of racism in Japan since Japanese education teaches from Junior High School about Martin Luther King and presents racism as something white people do to non-whites: ergo, ‘There is no racism in Japan’ myth. Add to this the overwhelming cultural narrative that defines the Japanese as ‘unique’ that serves to rationalize Japanese racism as the natural world order (after all, this is a remnant of Japanese Inperial era ideology), and therefore Japanese racism isn’t seen as ‘racism’, but their natural entitlement. She’s a woman who wants to be their leader! Whatever next? A female Emperor? She’s not even 100% Japanese! She’s half gaijin on her fathers side! Therefore her blood, brain, behavior and sense of being Japanese are questionable. I’m guessing that’s what they are thinking. Most of it is projection; they believe in racist blood-purity definitions of identity, and therefore are incapable of believing that she has Japans best interest at heart. I think Dr. Debito did a JBC once on ‘gaman’ as a tool of bullying, I don’t remember. — I think you’re thinking of this article. I’ve always been curious about what people mean when they say “occult mythos about the unbroken Imperial line”. Is the idea that Japanese imperial line is unbroken going back to at least the seventh century a lie? and his son going on to become emperor because all the world assumes the child to be the son of the emperor. (even though I’ve never actually seen the word “mythos” used in this sense before). but when I asked them I was not able to get a straight answer. I would be interested to hear what Debito has to say on the matter. — I don’t know enough to comment on the matter. I took it to mean belief in a world order where the Emperor reigns by the ‘mandate of heaven’ (in the post Meiji restoration era Neo-Confucian sense) based on the idea that his ‘earliest ancestor’ literally descended from heaven. Don’t you think so? This is the basis of imperial era ideology, and therefore of the right wingers. Of course, we know this to be literally untrue, and a modern fabrication, whereas the right wingers believe it to be literal truth. Hence, it’s an ‘occult mythos’ with the emphasis on ‘cult’. Mythos is a synonym for myth or mythology. The Emperors of Japan are considered to be direct descendants of Amaterasu, the immortal sun godess. This myth about unbroken imperial line and Yamato is mind boogling to me when it has already been a scientific proven fact that all Japanese, I repeat that all Japanese DNA is mixed with Chinese, Korean & mongols. So I like to always enlighten my incoming freshman every year who are always a gasp with this fact when we discuss it. But of course the inconvenient truth would never ever be in any Japanese school textbook. I saw a great documentary made in the UK about 15 years ago, that showed that people of different ethnicities shared the same Mitrochondrial DNA, and therefore shared a common female ancestor, despite one of them being black, one caucasion, and so on. One of the subjects was a Japanese guy, and this information BLEW HIS MIND! I wish I could remember the name of the documentary, the TV station, or the guys who did the research. It’s mind boggling to me too, but there are people who believe in all sorts of gods and things. I applaud this person for realizing a problem exists. However, something about this comment struck me the first time I read it and I couldn’t let it be. It kept coming back up in my mind and I kept gnawing at it. The problem of this right wing nihonjinron racial purity isn’t that it is “limiting the rights of some people”. People’s human rights are (or should be) protected by the law (now that is another can of worms in whether or not every resident of Japan has the same human rights under Japanese law, but for the sake of the point I want to make let us assume that UN treaty obligations mean that we all have the same human rights.) And of course, non-Japanese residents don’t have some rights such as the right to vote. That is entirely a legal and practical issue. The real problem of this right wing nihonjinron racial purity idea is that people of a different ethnic “look” (lets face it, it’s largely about looks) don’t get the same opportunities as everyone else and get worse treatment in general. Opportunities – I’m talking about smart kids born in Japan but who look like a different ethnicity won’t get offered the goods jobs. Worse treatment – I’m talking about society in general assuming they “lack” some ability in language or in their ability to negotiate relationships in Japanese society or being singled out by police. Or just plain old ‘your blood is tainted’ racism. They’re the core problem the different ethnicities face in Japan. Oh, and did anyone else think that this year’s miss Japan winner looks 100% Japanese anyway? So what’s the big hoohaa? And isn’t it no surprise she herself said she didn’t feel racially discriminated against? Q. What’s changed in honne Japanese thinking since 大和民族を中核とする世界政策の検討? The succinct all-too-true joke in comment #13, just got added to the collection of conversational phrases. 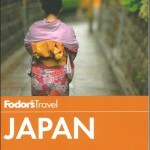 All he wants is a part-time job while he goes to a vocational school in Tokyo. 1. 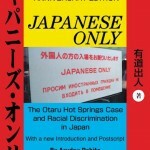 Well, Japanese law itself, not just the Japanese racial narrative, “limit(s) the rights of some people born and raised in Japan”. The Japanese law itself does that. Simply being “born and raised” in Japan does not qualify you for equal rights and privileges, in the same way that being born into a Japanese family does. 2. “due to genetics”. Well, I think the issue of genetics is more than an arms length away from the real problem. We, as humans, are not now nor ever have we been in a position to casually judge a person we meet based on their genes. Because unless we test them we don’t know anything about their genes. Am I being pedantic? 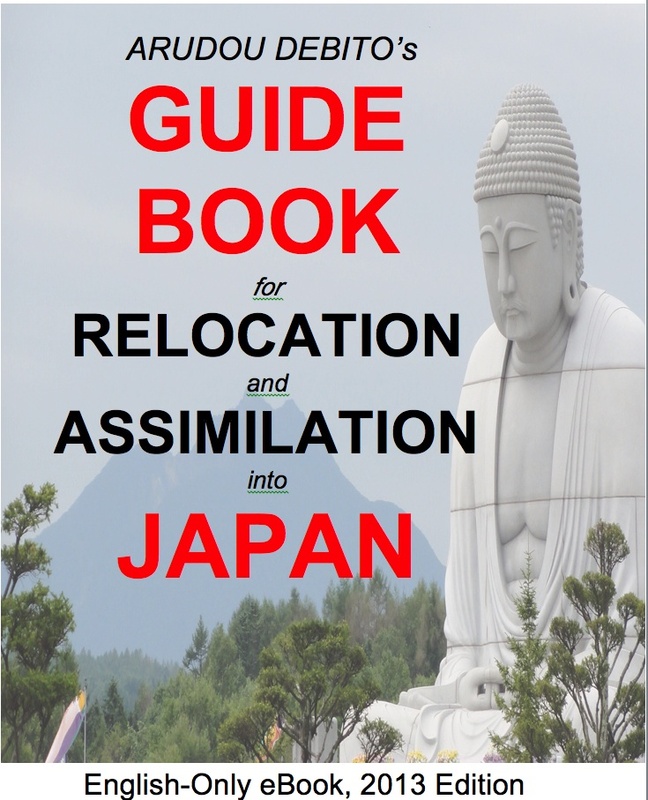 A little, but my point is that racism in Japan is conducted on a few fronts. None of them are based on genetics, in actual fact. One of them is based on perceived ethnicity though, and that was my point. I hope my comments are not perceived as nitpicking. But the devil is in the details after all and obscuring details is what helps keep people ignorant about these issues. So I think it is vital that terms be properly used and we try to refrain from simply using jingoistic phrases in cases where they do not necessarily fit.